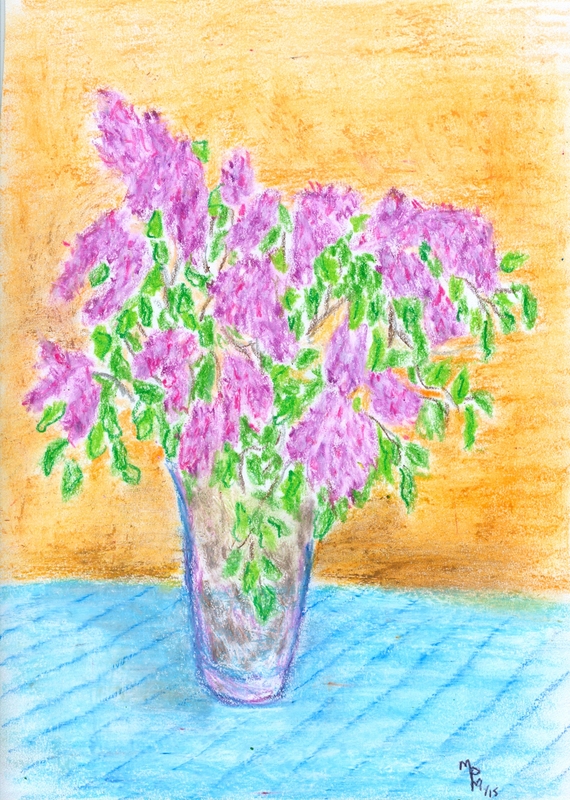 Last night our next door neighbour stopped by with his four children who had gathered us a big bouquet of sweet-smelling lilacs. I just had to put the event on paper with my oil pastels. Thank you Sam, Emily, Matthew and Hailey.